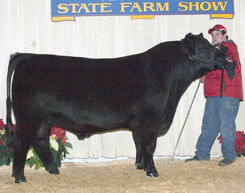 B C A Bullet Proof K53 won grand champion bull. 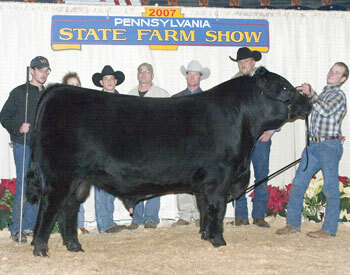 Beaver Creek Angus, East Berlin, Pa., owns the April 2005 son of TC Freedom 104. He first won junior champion. 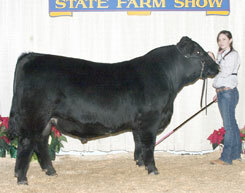 J D H Heir Structure 0575 won reserve grand champion bull. 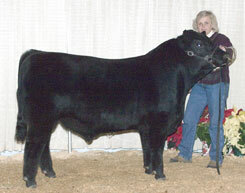 J D H Cattle Company, Dover, Pa., owns the November 2005 son of G 13 Structure. He first won senior calf champion. 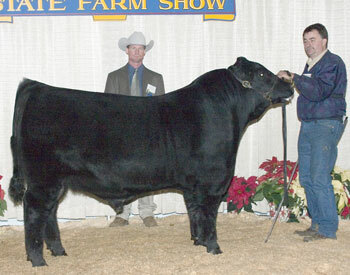 W S F Dateline Top Dawg W115 won reserve junior champion bull. Wilson's Skyview Farm, Titusville, Pa., owns the winning bull. 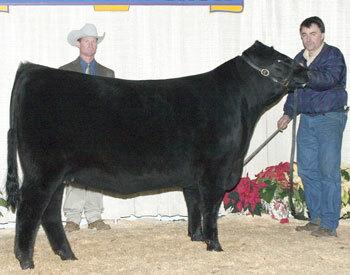 Freys KJF Bushman 1276 won reserve senior bull calf champion. Katrina Frey, Quarryville, Pa., owns the winning bull. J D H BT Heir 0796 won reserve junior bull calf champion. J D H Cattle Company, Dover, Pa., owns the winning bull. Rains Special Pizzazz SDNIF won reserve grand champion female. Dale Rains, Mercer, Pa., owns the February 2005 daughter of W C C Special Design L309. She first won reserve junior champion. Just Enuff Samari Eve won senior champion female. Seven Valleys, Pa., owns the winning female. Freys KJF Delia M90-R04 won reserve senior heifer calf champion. 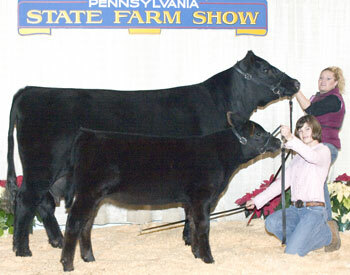 Katrina Joan Frey, Quarryville, Pa., owns the winning heifer. 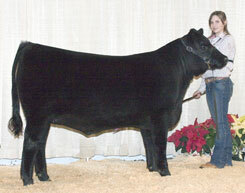 Rains Riata Skylight Dee LDR won junior heifer calf champion. 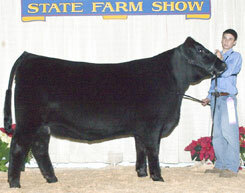 Dale Rains, Mercer, Pa., owns the winning heifer. 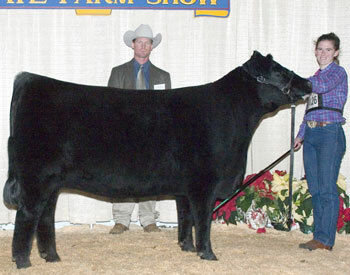 B C A Black N Fancy K612 won reserve junior heifer calf champion. 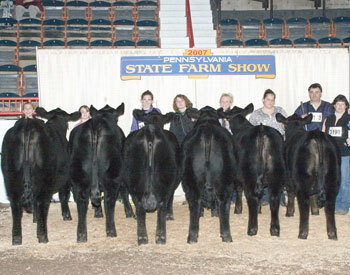 Hannah Grim, East Berlin, Pa., owns the winning heifer. 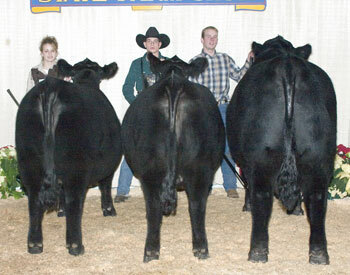 Brookefield Katinka 023 won grand champion cow-calf pair. Michele Landis, Northampton, Pa., and Jennifer Hower, Bethlehem, Pa., own the October 2000 daughter of G A R Precision 1680. 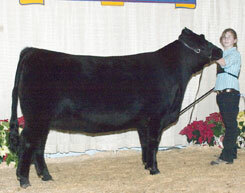 She has an October 2006 heifer calf sired by TC Freedom 104 at side. 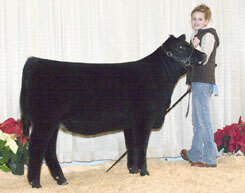 Miss Fullback of Ady won reserve grand champion cow-calf pair. 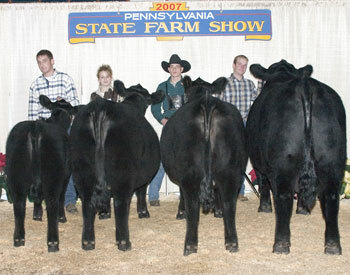 Cedar View Farms, Greencastle, Pa., owns the May 2000 daughter of Rito 9FB3 of 5H11 Fullback. 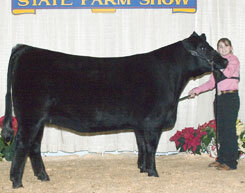 She has a September 2006 bull calf sired by Whitestone Frontier R209 at side. 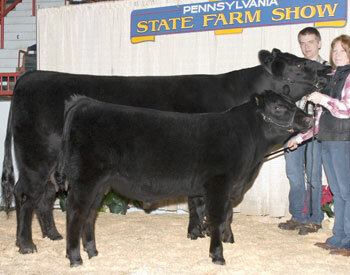 Dale Rains, Mercer, Pa., won breeders' best six head. Progeny of TC Freedom 104 won junior get-of-sire. Beaver Creek Angus, East Berlin, Pa., owns the winning trio. 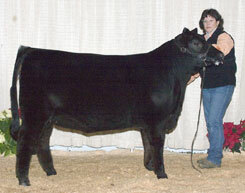 Progeny of TC Freedom 104 won first place get-of-sire. Beaver Creek Angus, East Berlin, Pa., owns the winning group.